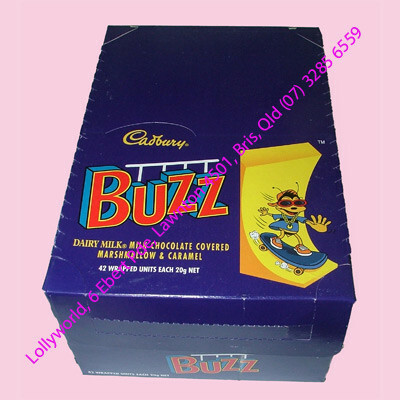 Buzz Bars are made by Cadbury in New Zealand. Made of marshmallow and caramel with a chocolate coating. They are also individually wrapped. Purchase individually or in a box of 42.